To save his soul, he risks condemning the world. Boulder pride security chief Gabe Kincade is losing his mind. It's the only explanation for remembering a past life in ancient Egypt as one of Maahes's warriors. Meeting a gorgeous scientist his jaguar says is his mate is a complication he can't afford—and can't resist. Ares is after him, and if the god catches him, he's dead. Again. Wildlife geneticist Autumn Dailey has spent the last fifteen years tracking big cat DNA. She's on the verge of a huge discovery, and the key might be in the samples from her cougar population study. Being kidnapped by people who turn into cougars proves she's found her something huge. Gabe Kincade showing up and promising to protect her from an unhinged alpha is an unexpected bonus. So is falling in love with him. But Ares knows who Gabe really is and what he can do. The Greek god of war will do anything to take possession of his soul. Including using his past life to destroy his future. To save Autumn, Gabe has to save himself. No matter the cost. Redemption has a price. Paying it could cost him everything. David Michaels is a celibate siren, cursed to never know love and fighting his nature every minute of the day so his brother won't fear him. He knew better than to have a one-night stand with a total stranger. The last thing he expected was to see her show up claiming his little brother is the long-lost next alpha of the Boulder pride. Megan Kincade, daughter of the Boulder pride alpha, hasn't stopped dreaming about the dark-haired man she slept with in Florida while chasing down a lead on her missing brother. The last thing she expected was to find him living as the little brother of her dream-man--a man with a voice smooth as Belgian chocolate. Taking his brother back to his pride is the only way for him to live, yet if David reconnects with his symphony, a pantheon war will set Colorado on fire. And he really shouldn't be falling in love with the alpha's daughter. When David's symphony comes for him, he gives himself up to save Meg and Owen. The love he thinks himself incapable of is the only thing that can save him. 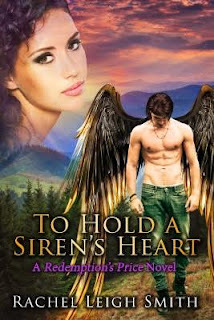 Provided Meg can find the courage to defy her pride and save her siren's heart. Rachel Leigh Smith's "To Hold A Siren's Heart" is the first tale in the Redemption's Price series. This is a great start to a new series. It's got mythology I've never seen with Egyptian and Greek legends...very cool! Sirens! David & Meg's story is amazing. 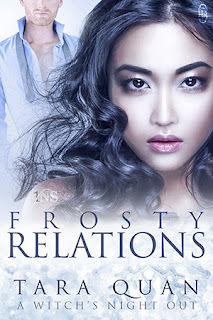 As always with this author, there is an ensemble cast and the story is very detailed. I love the ending. I always get totally enthralled by Rachel Leigh Smith.